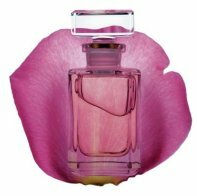 Aveda is launching a limited edition fragrance for Valentine's Day, Rose Attar Pure Fume Absolute. It is Aveda's first fragrance release in the last four years, and production will be limited to 3700 numbered bottles (if you want one, you might want to get in touch with your local Aveda now; some stores are pre-selling their allocation). It is tempting despite the high cost, isn't it? I adore rose scents. I know it's geared towards a lady but I'd be tempted to buy it for myself here, LOL!! The scent of a rose to me is the supreme floral, IMO. Very tempting–even though many of Aveda's scents project a grungy edge, there is a depth to them that is unmatched in many department store brands. This will be gorgeous! The sandlewood might add a dry sweetness to the rose and dillute any oiliness. Ah, but traditional attars are supposed to be used by either gender, right? Assuming this one won't have that earthy Aveda accord, but could be wrong. Actually, I think they had a Rose Attar in the line some years ago, but I never smelled it. I think it might be worth trying out then. Very true rose attars are and had been rather unisex in the past. I need to find out where my nearest Aveda store is here. I need to call them and see if I can put one on hold here when it's released. LIKE I NEED ANOTHER fragrance here like a hole in my head, LOL! !